Trader Joe's Crispy Cookies filled with Belgian chocolate look a bit too much like Milano cookies for Pepperidge Farm's liking. In its complaint, Pepperidge Farm accused Trader Joe's of making "a cookie product designed to trade on the Milano cookie's goodwill and reputation." The bakery said Trader Joe's even went so far as to sell its Crispy Cookies in packaging that was similar to the "signature gable top bag." 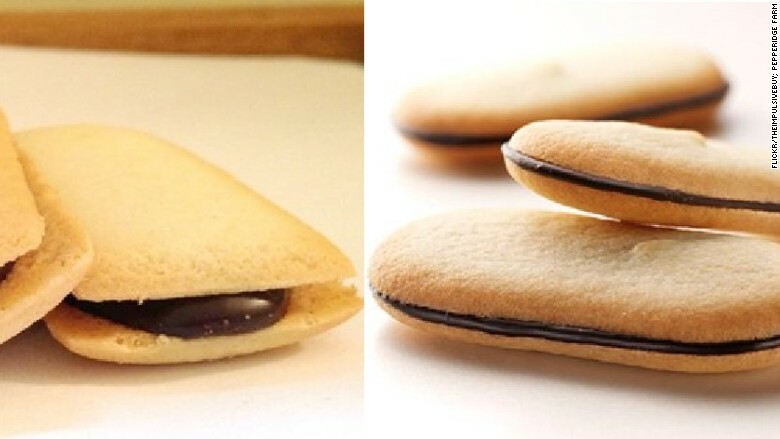 Milano cookies, which went on the market in 1956, have been sold in gable top bags since 1977. Pepperidge Farm took issue with the interior packaging too. Though Trader Joe's Crispy Cookies are stored in a plastic tray inside the package, the grocer included a photo of the cookies in a "fluted paper tray" on the package. Milano cookies come stored in frilly folded paper packaging. In its lawsuit, Pepperidge Farm said Trader Joe's Crispy Cookies are "likely to cause confusion, mistake, and/or deceive purchasers, potential purchasers, and the relevant public." 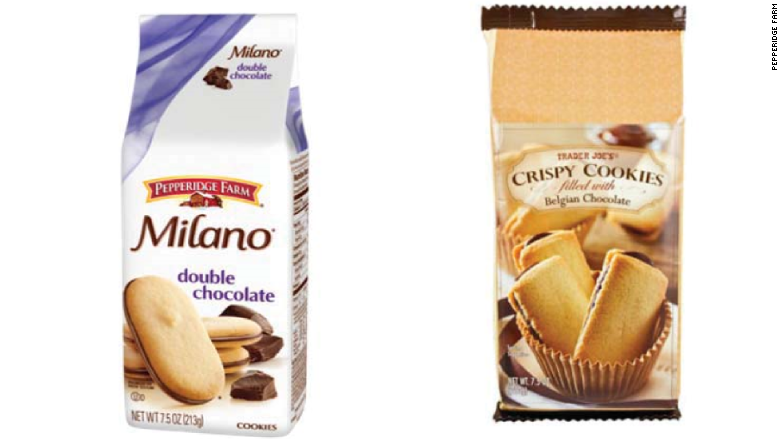 Over the past decade, Pepperidge Farm says it has sold hundreds of millions of Milano cookies, raking in revenue of "hundreds of millions of dollars." Representatives for Pepperidge Farm and Trader Joe's declined to comment. Ira Levy, an attorney at Goodwin Procter representing Pepperidge Farm, said the parties reached a "mutually satisfactory resolution of the dispute, and have agreed to make no further comments on the matter."